Welcome home to an expanded, meticulously maintained and updated home in FoxMill, located on a one acre lot. 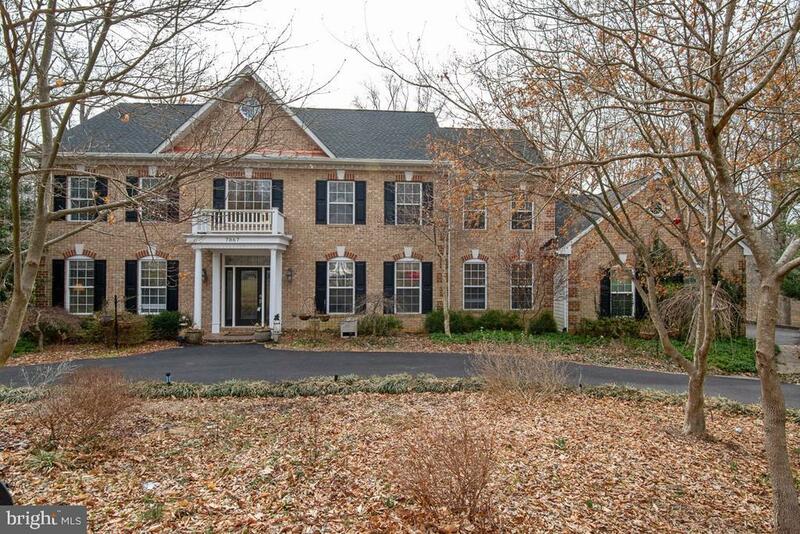 With over 5000 sq ft, this 5 bedroom, 4 bath home offers a main level bedroom and full bath. The elegant foyer with extensive crown molding, wrought iron balusters, and shadowbox trim will please even the pickiest buyer. The recently refinished hardwood floors on the main and upper level are stunning. In addition to the large family room which boasts a stone fireplace, there is a light-filled three season room with tile floors and skylights. This home has a gourmet kitchen with cherry cabinets, granite counters, updated stainless steel appliances and an attached breakfast room. There is also a formal living and dining room on the main level. The spacious master bedroom includes a cozy sitting room and dual walk-in closets as well as an updated spa master bath with dual vanities, custom cabinetry and an upgraded tiled shower with glass door. There are also three additional bedrooms and an updated bath with custom tile work on the upper level. In the lower level, there is a large rec room with built-in cabinetry, a full wet bar with refrigerator and microwave, a full bath, and a large storage room. The rear of the home has a tiered deck with Hot Tub, Gazebo, 2 patio areas, plus a Koi pond with waterfall, perfect for entertaining. The home backs to a park-like wooded area that has mature trees and a gentle stream. The beautifully landscaped yard has irrigation and drip lines. This home is nestled at the rear of the community on a cul-de-sac for privacy. This home also has a newer roof. Best of all, it is zoned for the much sought after Colgan High School and is convenient to all major commuter routes with easy access to the VRE or the slug lines. If you are looking for luxury living in a beautiful established community in a super convenient location, this is the home for you! Directions: I95 to Rt 234 North. Rt 234 North to Crossbow Dr. Right on Crossbow Dr. Right on Sly Fox Lane. Left on Bridle Post Place. Left on Unbridled Court. House will be first on left. Inclusions: Fish tank with built-in cabinetry conveys. Dehumidifier conveys. Hot tub works, but conveys as-is.